Last week I was talking about the state of sales with a friend of mine who is a senior sales executive at a Fortune 100 company. I always enjoy getting his perspective because the view from a mega-sized company like his is always so different from the vista of small and mid-market companies (SMEs). The farmer manages and sells to existing relationships. Sometimes this is an account manager function, and other times it’s simply reselling to companies with whom relationships have already been established. With some time to think about it, I am increasingly convinced that the hunter/farmer model is no longer a viable model for B2B sales. Frankly, I don’t really think it’s been effective for at least a decade. Before anyone gets too crazy, I am not saying that the hunter approach can’t work in any situation. There are some people who can produce amazing results, and even some companies that will make good money using hunters. They, however, are the exceptions (or even outliers). The hunter/farmer model worked fine when value propositions were simpler. Today the differences between one seller's value proposition and another are more nuanced than ever and the solution design is far more complex. Additionally, if you’re looking to increase top-line growth while protecting (let alone expanding) your margins, the intelligence and effort you must put forth in managing the sales process is increasing. Sales is increasingly becoming a team sport where multiple disciplines from the seller’s organization are involved in working with prospects. Additionally, the buy-side process has gotten far more complex. This means the role of the person responsible for managing new sales opportunities is moving to more of a conductor and leader. They need to know more and serve as a true resource to their prospects. 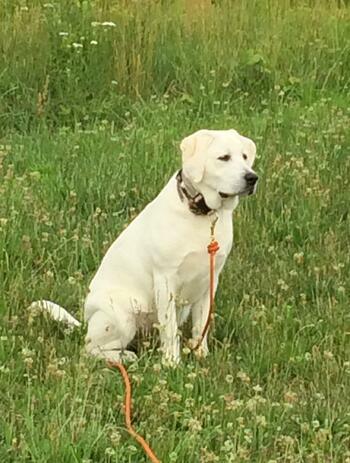 This is not conducive to the “hunter” mindset. Studies continue to show the downside of multi-tasking. When you go with a hunter model, you build multi-tasking into the design of your sales model. Responsibility for general prospecting, initiating sales opportunities and managing late stage sales situations requires the rep to constantly change mindsets, skills and focus. The net result is that nothing is done particularly well. A strong, experienced salesperson is often the highest paid person in a company. An additional problem with the hunter model is that they’re only doing what makes them so valuable a small percentage of the time. When I have someone who understands prospects at a deep level and can lead them through the difficult process of making a purchase decision, you can bet I want that person focused on doing precisely that as much as possible. Frankly, every time that person isn’t doing that very activity, I’m overpaying for what they’re doing. The problem with prospecting is even when you’re working the most highly targeted list possible, only a small percentage are in a place to move into a sales process at any given time. Putting high-value/high-cost assets on lower probability events is simply not a smart business decision. What’s more you also expose your growth trajectory to the tyranny of the urgent. For prospecting to produce results, it must be done consistently and constantly. However, if I’m responsible for managing sales opportunities and prospecting, responding to a high probability, late stage prospect will always overtake the focus on prospecting, even when I intended to prospect. This inability to maintain focus on early stage prospecting leads to unpredictable results. The last problem is that there simply aren’t a lot of people who want to be hunters today and it’s difficult to impossible to develop a system that is repeatable and sustainable for those that do; and that means you can’t scale growth. While you can, in some instances, drive short-term results with the approach; as you get bigger, you take on more complexity and you’ll simply hit a wall that makes the approach ineffective. As this chart shows, each of these roles requires a very different approach to be successful. As you see, the two primary roles of the hunter (prospecting and closing) are diametrically opposed. 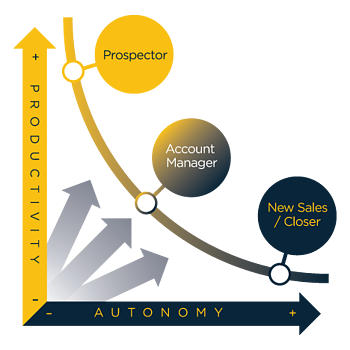 Prospecting is a high volume, low autonomy activity. The key to successful prospecting lies in developing and following a strong, specific process. Closing on the other hand is a low volume, highly autonomous activity. Managing a specific process for a specific process is a unique experience. Therefore it requires a high level of experience and judgment. It is for this reason that the fastest growing companies in the world are moving away from the hunter/farmer model and moving to specialization. The impact is simply too big to ignore. Making specialization work requires a lot of thought and effort be put up-front in designing your approach. Granted this work isn’t a lot of fun (which is probably the reason so many skip it and go with with less effective approaches). However, as the stakes continue to be raised in business, the cost of not doing this is going to get bigger and bigger. conversation and taking it all the way through to close, you don’t need to build a lot of process to support that. Communication is easy (there’s only one person involved) and you don’t have to worry about things falling through the cracks (because there aren’t any). When you move to specialization, you’re moving to a team-based approach and that means everyone has to be aligned, including your marketing team. This means you must design your entire demand generation process so that everyone understands what is happening and who is doing what. In the old days, if you hired a charismatic, well-spoken, hard-working hunter, you’d know you’d do okay. As both the sales and buying process have gotten increasingly complex, charisma and eloquence have far less impact on sales. In many situations, your sales team won’t even be able to directly connect with high-impact decision influencers. As I’ve written before, more and more of the buyer’s consideration is done outside the purview of your salespeople. Therefore, creating strong content is crucial to making your demand generation process work. Just yesterday we shared the keys to creating strong content that will stand out. In the world of the hunter, you didn’t really need a playbook. All of the knowledge was in the salesperson’s head, and the hunter wouldn’t haven’t followed your playbook if you had one. Building a scalable sales effort requires that you build a repeatable process that is followed by your team and that means you must have a strong playbook that guides everyone’s actions. Sales development is a key component to successful sales specialization. With sales development you are going to task low-experienced reps with the job of establishing a strong first impression and initiating the sales process with experienced, often sophisticated prospects. When you’re doing this, you can’t rely on talent, skills and personality alone. You must build the genius that you used to get from individuals into your sales system. 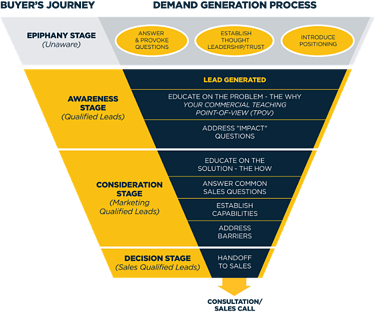 A strong sales development playbook arms your sales development reps (SDRs) with the knowledge, insights and phraseology that allow them to have valuable conversations with high value prospects. Wayne Gretzky famously identified the key to his success as “skating to where the puck is going, not to where the puck is.” As you consider the sales strategy and model you’re going to follow in the future, you’ve got to make that decision. You can take the easier route and continue to tweak an approach that won’t sustain growth, or you can take the harder path and ensure profitable growth for the next decade and beyond.